Steve is a Master Mentor and past trainer with the Circle of Wealth. 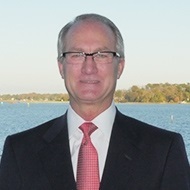 He specializes in training financial advisors, CPAs, life insurance and annuity agents. His focus is on the appropriate application of financial strategies and products. Steve is also the Past President and Board Member of the Community Hospital foundation and a member of the Lion's Club.